Jourdan Lewis is an American Football player who plays in the cornerback position. While playing in college, he provided college football with one of the most spectacular plays of the 2016 season, a one-handed interception against Wisconsin which has remained evergreen in the minds of those who saw the game. Jourdan currently plies his trade with the Dallas Cowboys where he wears the number 27 jersey. Find out more about this Michigan native here including his bio, body stats as well as his personal life. 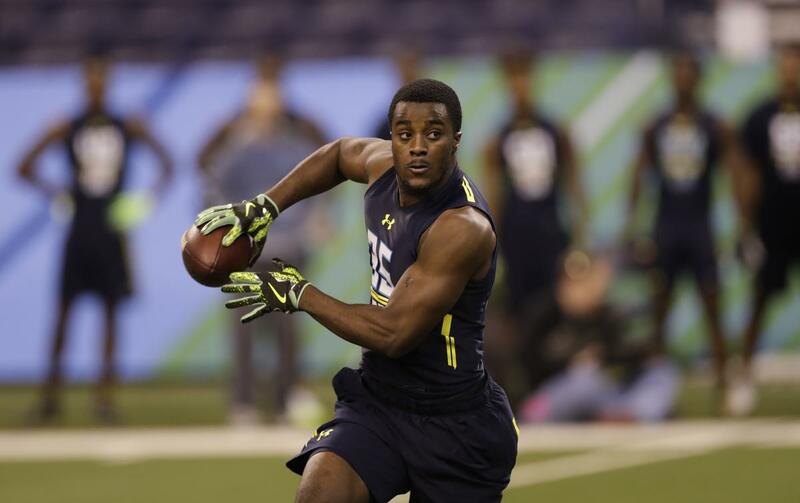 Jourdan Lewis was born on the 31st of August 1995; his birthplace is Detroit, Michigan. His parents divorced when he was just 7 and he was subsequently raised by his mother. Lewis had his high school education at the Cass Technical High School where he played football. He was successful, helping his team win back to back state titles in the Michigan High School Athletic Association Division 1 Championships in 2011 and 2012. Lewis credits the football program at Cass Technical with helping make him a successful athlete. According to him, the program was as serious as a college football and was very competitive. As a testament to his skills, Lewis was able to secure a football scholarship to the University of Michigan where he equally had an impressive playing career. In his first three years/ seasons, he made 108 tackles, defended 28 passes and recorded 4 interceptions. In his senior/final year, He set a record for the most passes-breakup in the university in a single season with 21 passes broken up. In recognition of his superior defensive skills, Lewis was named the Big Ten Conference top defensive back in 2016. He was also named a first team All American (an honor reserved for student-athletes who are regarded as the best in their sport/position) by several media outlets including USA Today, Associated Press, Sports Illustrated, Sporting News etc. Jourdan Lewis was a part of the 2017 NFL draft and was picked in the 3rd round by the Dallas Cowboys (the 92nd overall pick that year); he signed a four-year contract with them worth $3.2million. His first season for the Cowboys was plagued with injury but he was still able to make a good impression in his debut game; he intercepted 1 pass and made six tackles. He went on to make 15 appearances in total in the 2017 season, starting 7 games. He racked up 48 solo tackles, 10 passes defended and 1 interception. His consistent good performances contributed in no small measure to improving the Dallas Cowboys defense. With the solid debut season he has had, one can boldly assert that he will equally have an incredible 2nd season for the Cowboys. At present, we do not have any information on anybody that Lewis is dating. However, in 2017, the rookie cornerback made the headlines when his longtime girlfriend Nicole Miller accused him of assaulting her at their apartment in Ann Arbour, Michigan. The alleged assault reportedly took place on the night of 15th March 2018. According to her, they had an argument about him leaving the lights on and he hit her with the pillow three times, before dragging her across the floor and grabbing her neck. Lewis denied all the allegations, saying that he only hit her with the pillow and never put his hands on her. He was acquitted in July 2017. Of course, the relationship died a natural death. Jourdan Lewis is 5 feet 10 inches tall and weighs 195lbs or 88 kilograms. Lewis’ diminutive size has been an issue since the start of his NFL career; he is not as tall and as big as a typical cornerback should be. However, he has never let that deter him from playing to the best of his ability as he believes that it is the technique that matters, not height. Net worth – How Rich is Jourdan Lewis? Jourdan Lewis is worth at least $3,248,428 which is the sum of the contract he signed with the Dallas Cowboys. The figure includes a guaranteed sum of $753,428 as well as $753,428 in bonuses. He reportedly earned $653K in 2017. 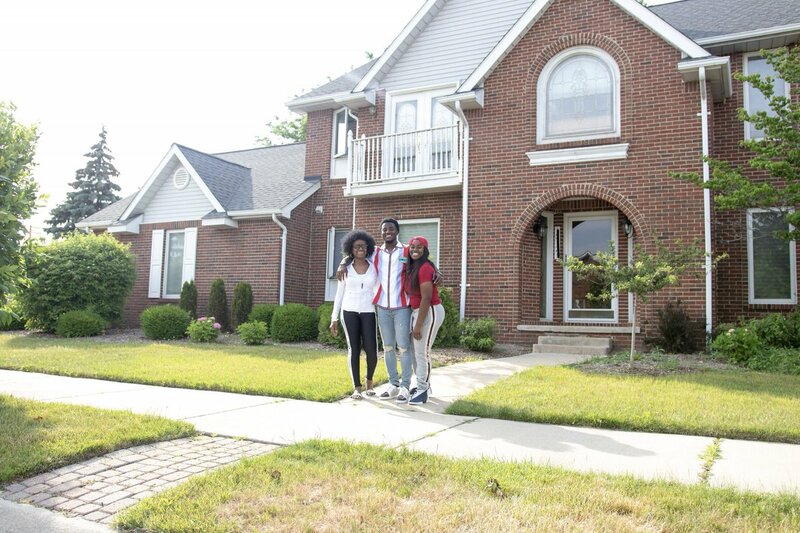 In June 2018, Lewis used the proceeds of his contract to purchase a home for his mother and sister.